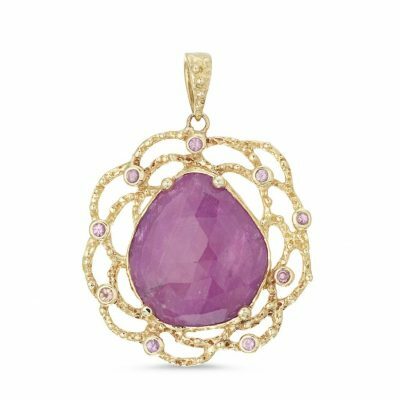 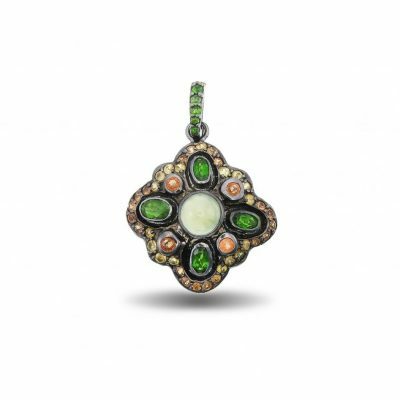 This feminine pendant is made from sterling silver and features leaf and floral designs. 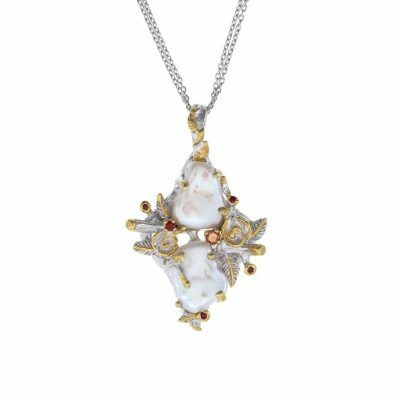 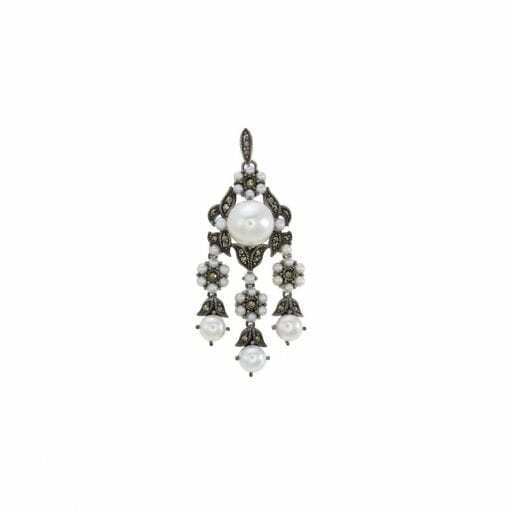 Pearls and Marcasite decorate the pendant beautifully. 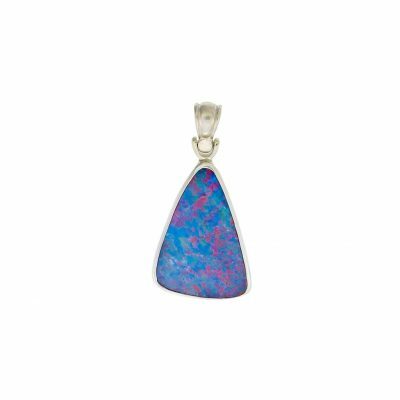 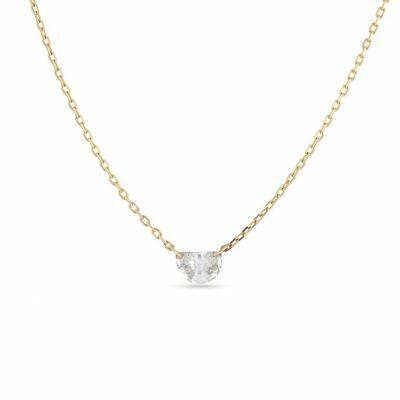 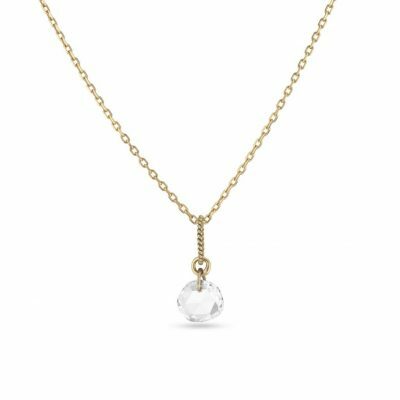 The piece measures approximately 6.5cm x 2cm.